Here's Yet Another Way to Get a Free Chromecast! Google really wants you to use Chromecast. Over the past few months, they’ve pushed all kinds of offers and promotions to spread awareness and boost adoption numbers, including a free Chromecast with Sling TV bundle and a $20 credit to those who buy a new Chromecast Get a $20 Credit When You Buy a $35 Chromecast Now Get a $20 Credit When You Buy a $35 Chromecast Now If you've been looking to buy a Google Chromecast, then here's an offer that might just send you over the edge. Read More . Not only that, but once you have a Chromecast of your own, you become eligible for several other freebies and benefits Google Is Giving Out Freebies to All Chromecast Owners Google Is Giving Out Freebies to All Chromecast Owners Every Chromecast owner is entitled to some free offers from Google. Here's how to redeem your freebies! Read More . If you don’t have a Chromecast yet, there has never been a better time to dive in as Google now has yet another promotion on the table. The offer is simple: Google will send a promo code to anyone who uses Android Pay at least 10 times between now and February 29. This code can then be redeemed for a free 2nd-generation Chromecast. The code itself won’t expire until March 31, but will only be applicable while supplies last. Note: This offer is only available to those in the United States. Also, payments only count towards the 10 requirement if they’re made at least five minutes apart. A lot of people are still reluctant to use mobile payments over cash Mobile Payments Are Coming -- Here's Why I'll Still Use Cash Mobile Payments Are Coming -- Here's Why I'll Still Use Cash Mobile payments are all the rage with Android Pay, Apple Pay, and Samsung Pay all making a splash. But are they worth it? Read More , and if you’re one of them, this promotion may be enticing enough to get you to install and use Android Pay. After all, the Chromecast is one of the best media streaming devices on the market The 8 Best Devices for Streaming Movies to Your TV The 8 Best Devices for Streaming Movies to Your TV There are several ways to stream media to your TV, and deciding which way is right for you can be overwhelming. Let us help you explore what's currently available. Read More today. Is the promise of a free Chromecast enough to get you to try Android Pay? 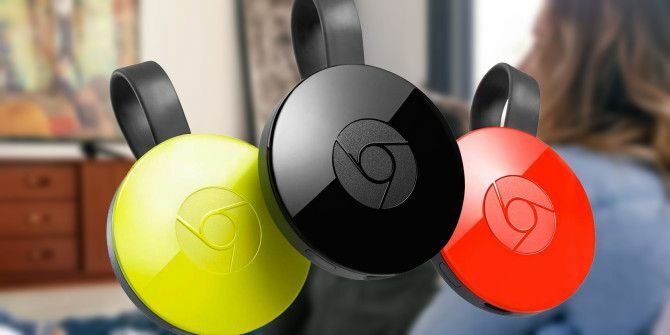 What are your thoughts on the Chromecast? Or even Android Pay? Let us know in the comments below! Explore more about: Chromecast, Freebies. 5 Sites and Apps to Find Movies & TV Shows to Watch on NetflixWhy Aren’t You Taking Full Advantage of Google Play Music? Not anyone. Only those who were chosen at random to see the popup ad for Tap 10.